Another Trail Work report by Gwen. 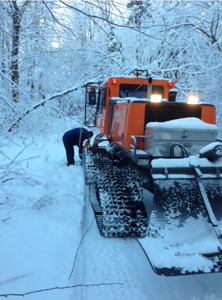 See her latest photos in the 2018 Trail Work Gallery. Oct 20th was another productive day on the trails. 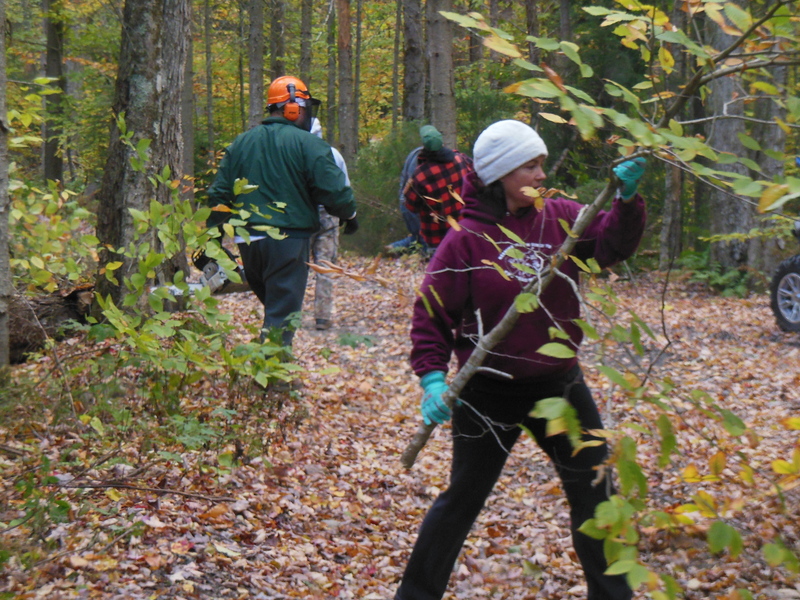 Our 9 workers cleared and brushed the trail from the Dam Rd (Whiskey Hollow) to the pit. There were 3 chainsaws running, a pole saw, clippers and brush draggers. Even though last Sat, the 13th, was rainy and cold we still managed to get the snow angel trail cleaned and brushed.